Conveniently located, high on a hill in White Oak Village in Cala Hills, sits this impressive design by The Sater Design Collection (Demetri model) who is a leader in luxury custom home plans. 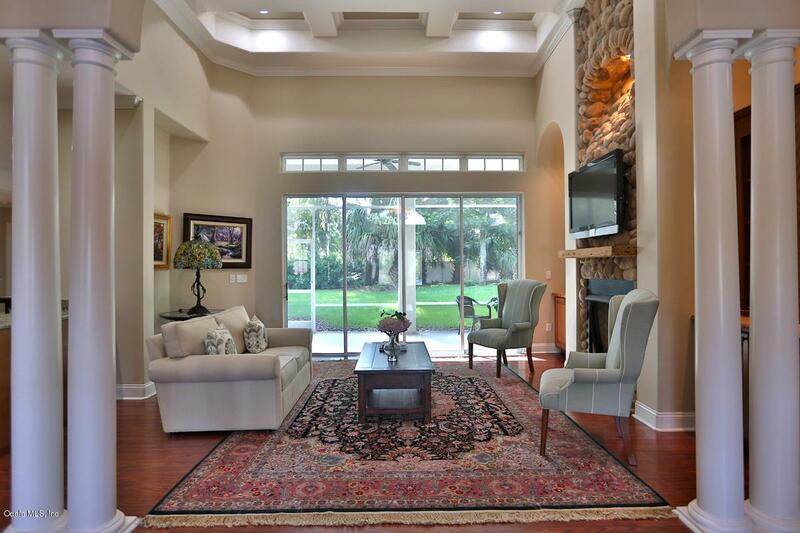 The barrel foyer beckons you to explore this spacious residence, and opens to the formal living room featuring floor to ceiling stone fireplace, built-in storage, coffered ceilings, and sliding glass doors leading to the screen enclosed lanai. 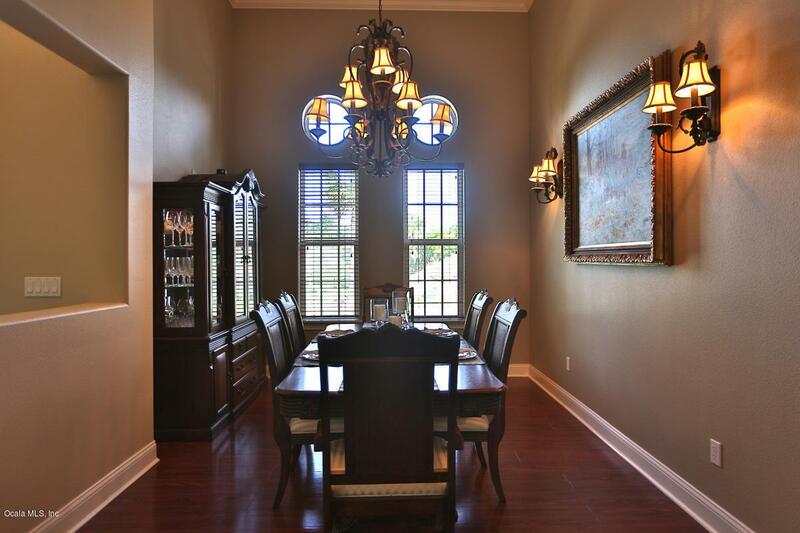 The expansive formal dining room has an elegant chandelier. Attention to detail abounds, from the dramatic variety of ceilings (trey, coffered, beamed, double step) to the Chef's kitchen with Kenmore Elite appliances, butcher block island with sink, granite counters and walk-in pantry. 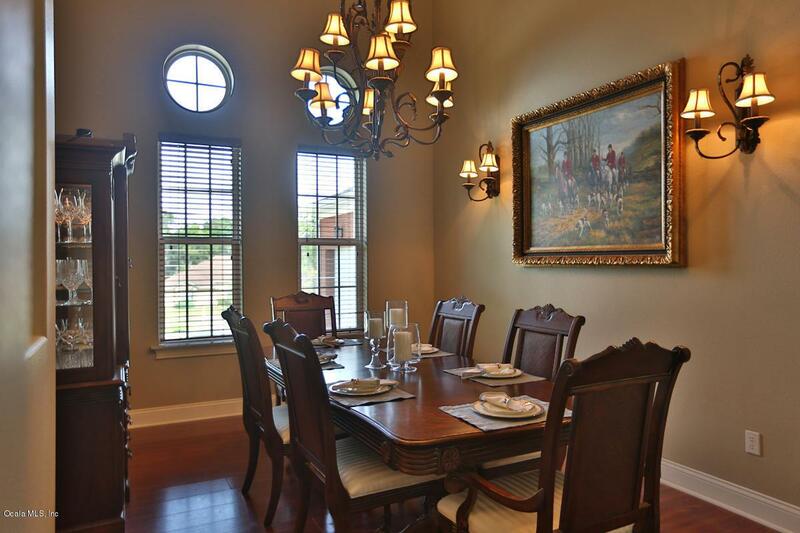 Kitchen opens to the breakfast nook and large family room withwith sliding glass doors to the lanai. Office features built-in bookcase. Spacious laundry room with sink and plenty of cabinet storage. Expansive master suite with sitting alcove, double-step ceiling, and sliding glass doors leading to the screen enclosed lanai. Large master bath with his and her vanities plus separate vanity area, large tub plus a walk-in shower. Additional bedrooms include guest suite with private bath plus a Jack and Jill bedroom. Screen enclosed lanai with summer kitchen is pre-wired for 225 amp electricity and has vent-a-hood, built-in refrigerator and opens to the large back yard with plenty of room to play. Home is personalized and has a 45 year architectural shingle roof. Home is wired for surround sound, pre-plumbed for natural gas for adding a generator and pool heater. Great location close to hospitals, restaurants and shopping. 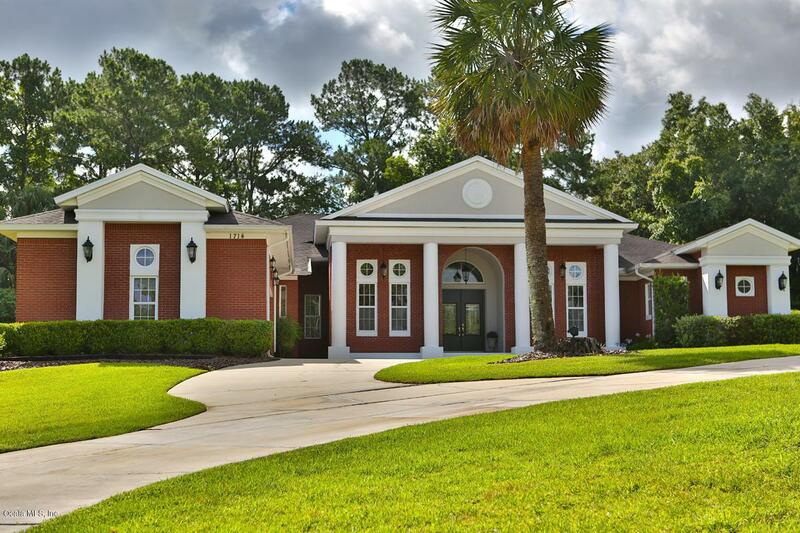 White Oak Villages offers its members use of the solar heated pool, tennis courts, gym, sauna, racquet ball, shuffle board, billiard room and banquet rooms.